Apple appears the target of so much criticism: when it’s wrong it’s wrong and when it’s right it’s not right enough. Media perception of the company seems incredibly one-sided. What follows are a few notes from an open letter it’s pretty easy to imagine Apple CEO, Tim Cook, might want to write. 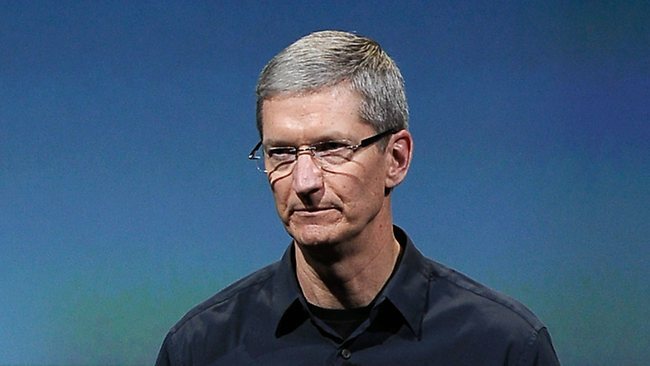 My name is Tim Cook and I’m CEO of Apple. We’ve been coming in for a lot of criticism lately, and I’m sorry. I’m sorry I’m not Steve Jobs. I know many Apple watchers miss him and I know many wish he was still around. I often feel that my performance is judged as if I were still in his shadow. If it makes it any easier to understand, I wish I was still in his shadow — he wasn’t just my boss, he was also my friend and I miss him every day. Everyone here at Apple does, and we work daily to deliver the best products in the world at least partly in his memory. But I’m sorry I’m not him. I know it upsets a lot of critics that despite Steve no longer being at the helm our stock continues to climb steadily and we continue to return record quarterly revenues. I’m sorry that we have listened to our shareholders and now offer tham a dividend — they wanted this for years. I’m also sorry that our commitment to user privacy and the environment means that Greenpeace and the EFF now see Apple as the leading technology brand for its commitment to these things. And, of course, I’m deeply sorry that our commitment to supplier responsibility is something we now publish as transparently as we are able and continue to drive forward because we believe it matters too. And I’m sorry about Maps which we continue to improve through a series of technology acquisitions and improvements and which I firmly believe will match the current mapping market leaders within the next 12-months. I’m incredibly sorry that under my leadership we have not just responded to all these criticisms, but we have embraced them as critical elements to our business. I can’t help but apologise for our products. We continue to lead the industry in each category, and (when you combine iPad with Mac sales) are now the world’s biggest PC maker. I’m really sorry about that. iPads and iPhones are the most popular individual brands in each of their segments. I’m sorry about that. And I’m so so sorry about the App Store, which continues to be the world’s biggest store for mobile apps, and for iTunes, which remains the world’s largest music retailer. I’m ever so sorry about these accomplishments — I know you wanted more. I understand a lot of people feel bad about the court cases we are embroiled in to protect ourselves from our imitative competitors. I know lots of people think things like user interfaces, product design, rounded corners, or the entire Apple-invented user paradigm we put into these products are something that should be shared with the entire world. I’m sorry that we feel that our business and R&D investments are something to protect, and I’m ever so sorry that even a sense of fair play and the lawsuits haven’t been enough to prevent competitors from building up a huge chunk of marketshare using designs that some might see as very like the designs we’ve developed. I’m truly sorry that we decided to fight to point this out — I’m sure our business would prosper far more if we simply let competitors use our ideas and went on to create some other ideas for competitors to copy. I know our R&D spending is at an all time high. I know that we need to spend more. I know we need to bring new product ideas to market, and I know we are right on schedule to do this, given Apple’s entire history shows it introduces new ideas only every three or four years or so. But I’m sorry — I know the wait is incredibly painful, particularly for our competitors, many of whom have been slashing their own R&D spending to help get themselves through the recession. I know they really need us to develop new product ideas for them — partially so they can invent software, services and hardware designed to work with our products so they can piggyback a bit of the business we create. And also (and I’m really sorry about this) so competitors can copy our ideas and present them as their own products. I know the entire technology industry really need us to do something to help it grow. It’s a lot of responsibility. All I can say is we are really, really sorry for the delay but we really are doing our best. I’m sorry for all of this. I’m even sorry that I raised just under half a million dollars for human rights organizations by auctioning a lunch meeting the other day; and that I’ve set in place a way Apple employees can make their own charitable contributions to help leave this planet a better place. I’m so sorry for all the things we’re doing wrong, particularly as the stock prepares to divide and we qualify for inclusion in the Dow. It’s appalling really that we’ve managed to create and maintain such a business. I’m really sorry about that. Note to readers: This is satire. Somehow, I don’t think this shows just how sorry Apple really is. I think a few more really, really sorrys, a few so, so sorrys, and maybe a (I)mea culpa(/I) or two, and a please forgive us for being sorry are in order /s. Good job by the way. It won’t shut up the critics, but it is a good read for those of us who enjoy using Apple products and follow the information. Oh I do hope you keep reading the CW stuff. I’m really aiming to write things that have tangible value at CW these days — helpful things for Apple users to use (and some opinion of course). Here I’m trying to follow a meme to see where it goes. I hope to add some actual creative writing to what I do in future too, dystopian sci-fi probably, but I’m kind of tense about actually publishing any of the stories I write, as I don’t know how I might feel if people didn’t like them. But it’s something I’d like to do, and given there’s no real income in books these days I reckon I still want to put some ideas out there, as perhaps something good might happen. But it’s a shame not to try.